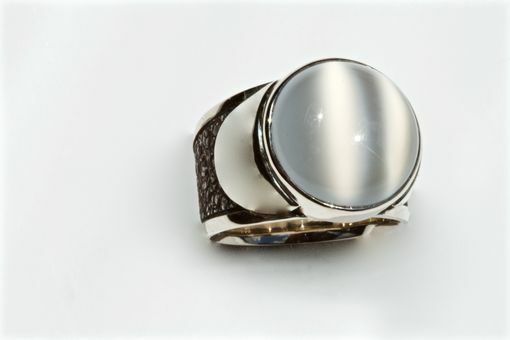 Big beautiful clean Indian moon stone ladies ring. The stone if 16mm round, and full of cats eye play! The ring is hand fabricated in 14kt white gold and durable forged stainless steel. Lots of fun!